The SR1+ high performance レギュレータ is NOW AVAILABLE. 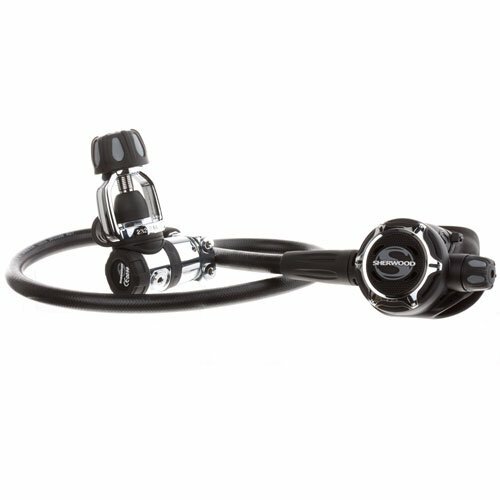 With superior breathing performance of less than 0.5 joules/liter, W.O.B. 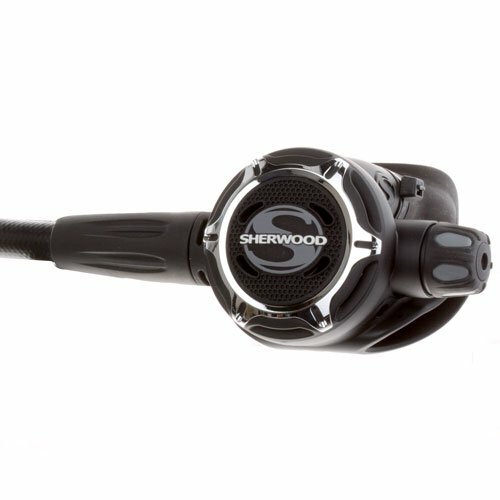 at 165 fsw, 62.5 RMV, the SR1 is the most technologically advanced レギュレータ Sherwood Scuba has produced in its storied 50 year history. 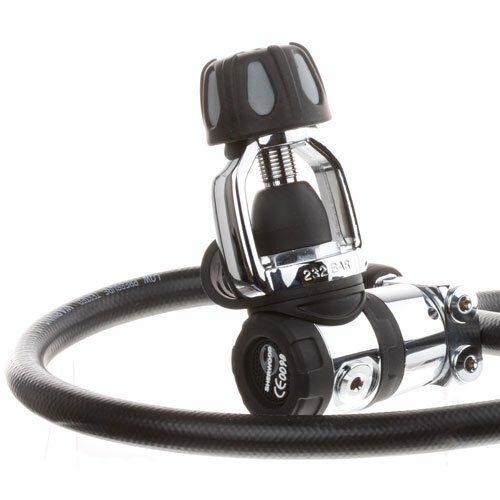 The SR1 utilizes a pneumatically balanced second stage, with a two-piece flow-through first stage piston for precise optimum balancend intermediate pressure control. The first stage is environmentally sealed featuring a dry-sealed spring chamber, two high pressure ports, four low pressure ports and is compatible with a yoke or DIN attachment. The second stage contains a SMART demand lever and floating crown which reacts to depressurization and relieves the load on the seat, extending seat life while promoting consistent performance. New First Stage aligns your hoses in a neat parallel direction.